Remember the Skydio R1 drone we reported about a couple of months back? Well, it’s alive and kicking! Even better, the guys behind it just released a massive software update, a SDK, for the R1 drone. So if you happen to be a developer, you now can program your own skills and even mobile apps for the Skydio R1! Oh, and it’s getting more affordable, too. The Skydio R1 looks like a normal drone but it really isn’t. It’s more like a flying robot with plenty of AI (artificial intelligence) built in. It sports a total of 13 cameras, 1 of them is the main, front-facing, 4K-capable camera which is on duty capturing your actual footage, the other 12 are there to help the R1 navigating itself autonomously through any environment while tracking a moving object (or subject) of your choice. That’s cool but it gets even better. Skydio has just announced a massive software update sporting a full-blown SDK (software developing kit) for the R1 drone. 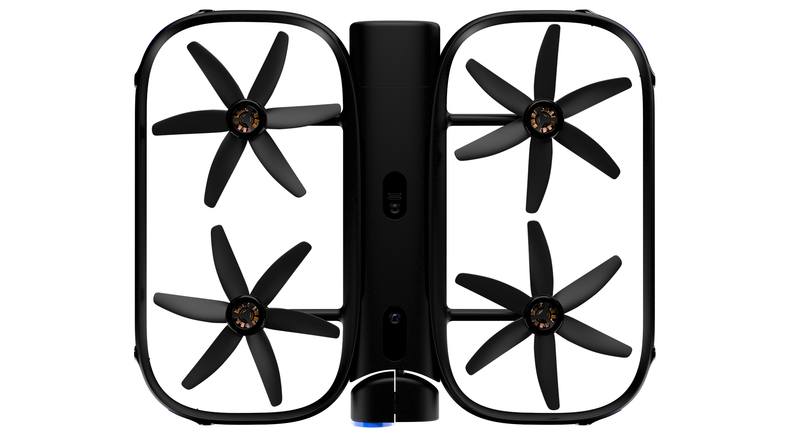 The Skydio R1 employs quite a bit of computational power in order to avoid obstacles, track objects, keep itself in the air smoothly and record video. The brain of the drone is the so-called Skydio Autonomy Engine, a platform that uses cutting-edge computer vision and machine learning algorithms to see and understand the world around it and to plan and execute its own movement. Neither a controller nor a human operator is needed to fly this thing. 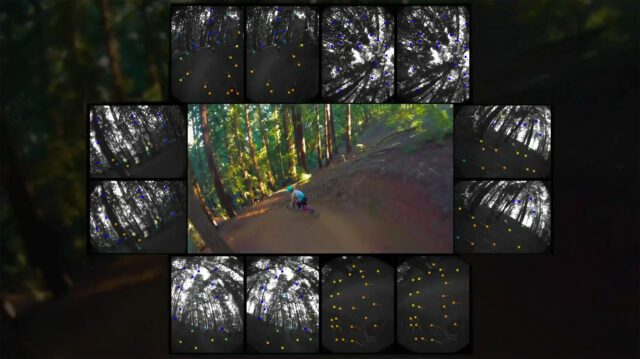 It will track you autonomously while you pull off that awesome BMX stunt. A camera crew in your pocket, so to speak. A total of 13 cameras sense the environment. All these calculations rely on clever algorithms, programmed by the company’s own engineers. With this new software update, you have the chance of becoming a R1 developer yourself. A few lines of Python are required so you should be familiar with this programming language. All kinds of skills can be programmed using the same tools the company’s own engineers have access to. 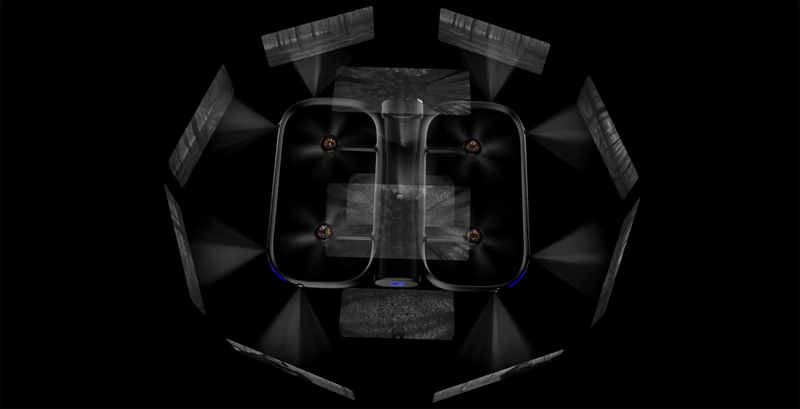 The Skydio R1 is a new type of drone, built on breakthroughs in subject tracking, path planning, mapping, scene understanding, and collision avoidance.With the release of the Skydio Autonomy Platform, our core technology can be accessed by third party developers to add an infinite number of additional Skills for a wide range of use cases. We are really excited to see what developers will do. Building on the Skydio Autonomy Platform means harnessing the full weight of the state of the art in AI and robotics to solve your problem. The new Skills SDK ​allows developers to create new skills for Skydio R1 in a few lines of Python via a rich set of APIs. Resulting skills can be easily shared with other Skydio owners via the Developer Console. This could potentially lead to a whole community of R1 users who share their bespoke set of features. Pretty cool, indeed! Skydio’s AI at work sensing the environment. Furthermore, a Mobile SDK allows developers to control the Skydio R1 from within their own custom apps for both Android or iOS. 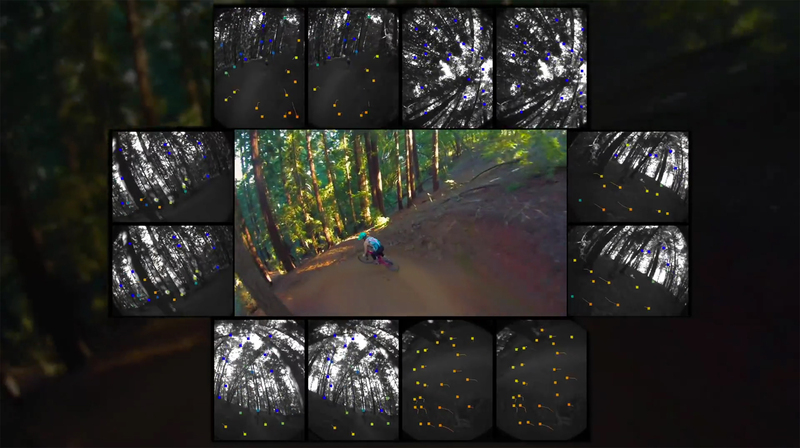 In order to test new algorithms, developers can use Skydio’s simulator ​which allows for quick iteration by running your skills on a simulated R1 in a virtual 3D environment, all from a web browser. Cable cam​ ​- allows users to pilot R1 to specific positions and orientations and then reliably retrace the flight path between each point, all while maintaining full obstacle avoidance, and optionally tracking a subject. New Skills focused on single-shot actions, including Dronie, Boomerang, Vortex, and Rocket. These new skills are quickly triggered and give you unique shots without any effort. Since its initial release the Skydio R1 was only available as a limited so-called Frontier Edition. 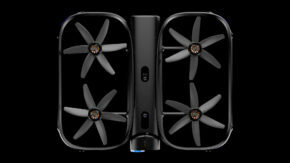 Now the company has streamlined their production capabilities, resulting in a lower price for the drone. The price has dropped from $2,500 to a more reasonable $1,999. 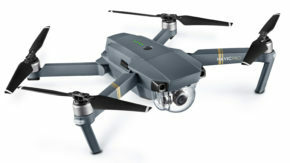 One thing that would be really cool and would complement the upgradable software of this drone would be an upgradable main camera for capturing the actual footage. We’ll take a closer look at the new cinematic functions and test the camera capabilities in our upcoming review soon. What do you think of this autonomously drone? Would you use it or do you prefer controlling a drone by yourself? Share your thoughts in the comments below!